As a San Diego favorite for over 12 years, Brian Porterfield aka BASSMECHANIC, began his musical journey in 1996 playing Trance and House music as Brian Porterfield, opening for Christopher Lawance, Sandra Colins, Thomas Michael, RITM, Jackal, J-break, Dj Icey and DJ Fixx to name a few. 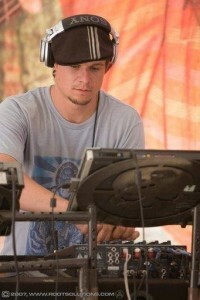 In 2001 D&B caught his ear, and he began to incorporate this new sound into his sets, effectively bringing D&B to a new audience. In 2004 BASSMECHANIC (Brian Porterfield’s D&B, Break Beat, Electro, DubStep alter ego) came to be. In 2009 he produced FUNK THE SYSTEM! a monthly event in San Diego dedicated to BREAKS, ELECTRO and DUBSTEP. Featuring artists such as Uberzone, Bassbin Twins, Excision, Datsik, Subvert, An-ten-nae, Dieselboy, Oscure to name a few. BASSMECHANIC has been playing his brand of Breaks, Electro and Dubstep that’s become recognized throughout Southern California. Hard, funky, bottom heavy, facemeltin’ Breaktrostep. BASSMECHANIC will keep you on your toes till the wee hours of the morning. So lets burn down the place and turn up your BASS!